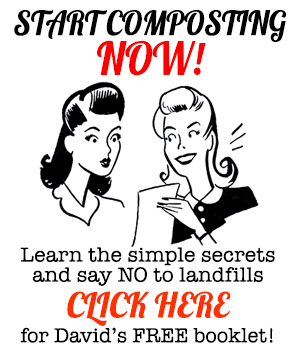 Growing coffee isn’t as hard as you might think! What does COFFEE have to do with survival? If you’re asking that question, you must be one of those strange and rare creatures that live their lives in a state of drug-free serenity. Perhaps you sleep in late, eat only vegetables, and spend hours watching a fishtank in your condo. For those of us addicted to caffeine, coffee (or tea) isn’t just a plant. It’s a need. A burning need combined with pleasure. These things will make the oncoming Econopocalypse almost bearable. I mean, honestly: who wants to face a horde of the undead or fight with AI-equipped death-dealing homing drones without a cup o’ joe in the morning? Coffee, unfortunately for those of us dwelling in non-tropical climes, is a completely tropical plant. It likes somewhat cool temperatures though cannot stand the frost. 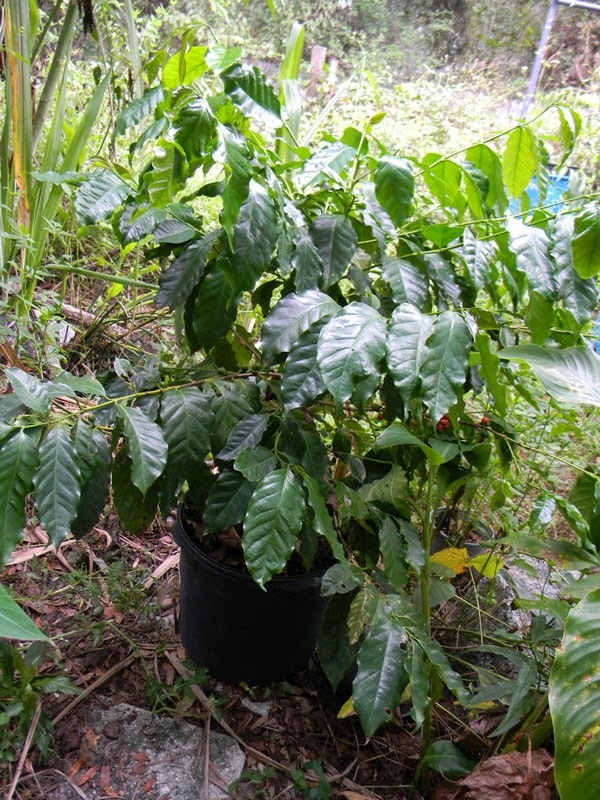 Growing coffee outdoors north of south Florida or outside of Hawaii is tough. Fortunately, there are ways to grow it outside of its natural range. Growing coffee in Florida is easier than in most states. Thanks to its ability to grow as an understory plant, coffee can be successfully cultivated indoors and in sheltered locations through the cold of winter. My mother plant. It’s about 2-3′ taller now than in this picture. If you live in South Florida, you can pop some coffee plants into your yard and they’ll grow without much care; up in my neck of the woods, however, they’re best grown in pots or against the south wall of your house as I’ve started to do in my Miami Garden. I’ve been growing a coffee tree in a large pot for about four years now and it’s paying off. During the freezes I keep it in my greenhouse. 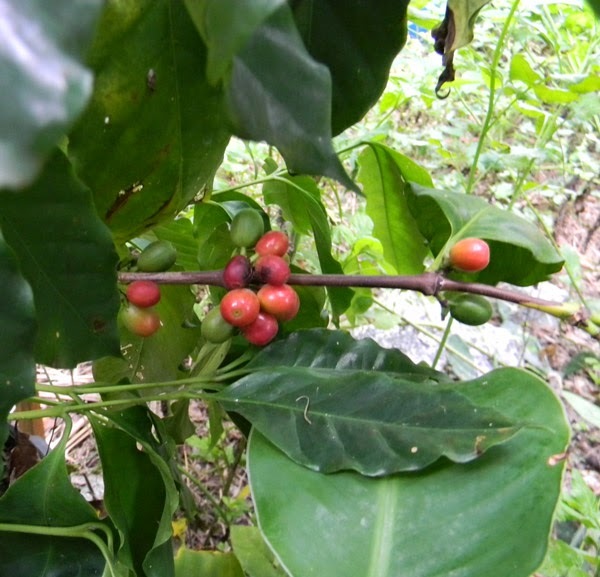 During the spring, summer and fall, it resides in a shady spot outdoors, happily blooming every spring and producing coffee cherries in the fall and winter. 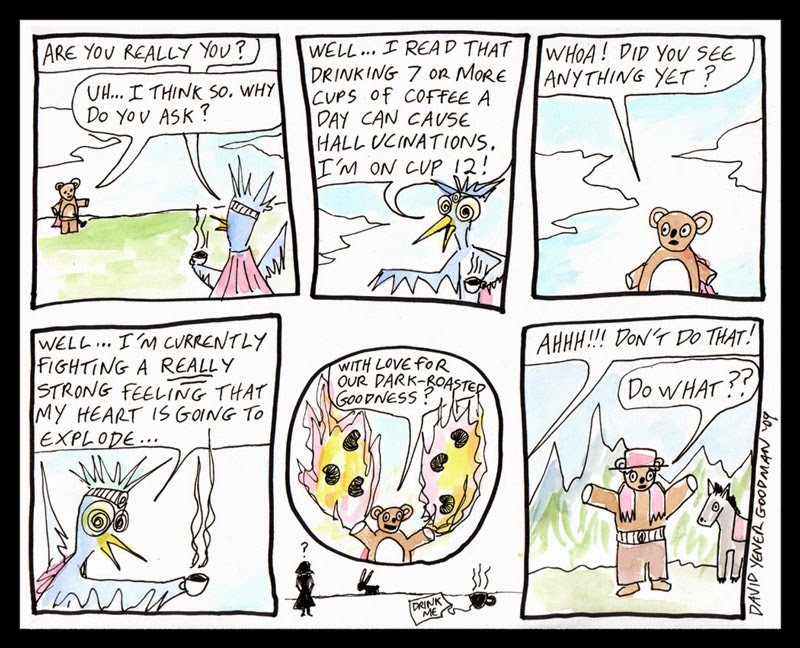 Though I’ve been told that “good” coffee only comes from the mountains, I’m not all that concerned. If shipping lines fail, I will happily enjoy my locally grown coffee. Right now, however, all the beans are being used to grow new coffee plants. A word on those “beans”: they’re not really beans. They’re the seeds inside a small fruit called a “coffee cherry.” Coffee cherries taste a lot like sweet red bell peppers with a bit of spice to them. Not bad at all. Just spit out the seeds, then roast and grind them. Coffee trees take a little bit of time to propagate. Last year I started a couple dozen of them and sold them in my plant nursery, though the time involved was a bit silly. I’ve bought coffee seeds through the mail and tried to germinate them. They all failed. If the seeds are more than a few weeks – or maybe months – old, they won’t come up. Roasted beans from the store are obviously not going to work, so finding green, non-aged seeds is the first thing you need to do to get started. I paid $30 for my mother coffee tree and then waited a year for seeds so I could get started on my future plantation. Coffee beans usually take a couple of months to germinate. Even then, the germination is uneven and hasn’t been that high. Maybe 50%. Bottom heat helps. I’ve had them come up in a month with a heating pad (like this one) beneath my seed trays. You need to keep them moist during this time. I put the seed trays on a large oven sheet with a little water in the bottom so they don’t dry out. That works well for me. From germination, it takes 2-3 years for your new coffee tree to start blooming. 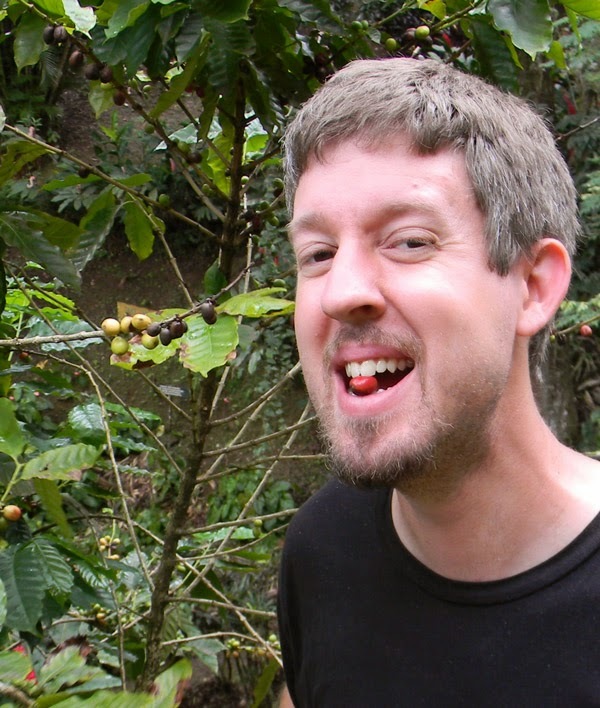 Fortunately, coffee is self-pollinating so you’ll be able to get beans off a tree without its needing a mate. The plants I sold last year were mostly about 6 months old and 6-8″ tall. They grow moderately quickly if you keep them in acidic soil and supplied with nitrogen. I feed mine with rabbit manure and coffee grounds. Blood meal is another good choice. Coffee takes well to growing in a pot and can actually be grown as a houseplant year-round. The leaves are attractive, the blooms are lovely and the fruit is a fascinating conversation piece. Back in the day, David The Good was a cartoonist. And coffee junkie. What I can tell you on cultivation: it’s hard to kill coffee. If you move it into full sun, it will burn the leaves and make it unhappy. If it goes without water for too long, it will wilt but usually recovers rapidly when water is reapplied. 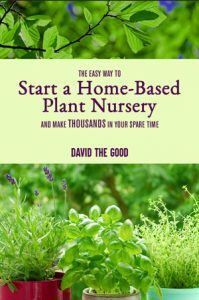 Just keep it fed and watered and it will reward you with plenty of rich, glossy leaves and abundant blooms and fruit. According to my non-scientific estimates, a serious coffee drinker will require about 25 bushes to stay caffeinated through a year. An occasional coffee drinker will only need a few. They bear more and more every year and can grow into a decent-sized tree under good conditions. If you’re not growing coffee, give it a try. It’s a lot of fun, even if you’re not an addict. If you are, it’s a necessity – unless you’re willing to switch to Yaupon tea. Size: Can grow to over 30′ under ideal conditions. Usually much smaller. "a serious coffee drinker will require about 25 bushes to stay caffeinated through a year"
Between hubby and me, that would mean 50 plants at minimum. If you created an indoor plantation, it would also provide you with lots and lots of oxygen. I've toyed with the idea of growing them in the ground in my greenhouse. One of my garden club members does just that here in NW FL. Don't remember how old his plants are though. Good to know they do well in containers! How much do you sell seedlings for? My seedlings are $6 each, once they're big enough to pot up into 1-gal pots. You forgot to tell us about the wonderful scent that coffee flowers have. The idea of an indoor plantation with all that perfume has me very interested in trying that out in S.C. I wonder what health benefits coffee flower aromatherapy has. Just think of a WOFATI house with an indoor coffee plantation! Now I just need to find out how to get it built. Are there people that are willing to come and build a WOFATI house for you? You're right – should have mentioned it. I'd come help you build a house. I like you. Wow, I think I will take you up on that. 🙂 Especially if you do the decorating. Not only could you bring a bunch of coffee seedlings, but you could paint murals on the walls. Maybe we could have another TFC get-together, only a camp-out and build-a-house this time, instead of a Dragon Con. If we do it in October, we could take a trip over to the Story Tellers event. You've got my head spinning with ideas! You are going to have so much fun picking and processing those cherries. I say this with only mild sarcasm because there are many ways to go about the de-pulping and drying and all of them affect the coffee flavor in different ways. Significant ways sometimes. Not to mention the roasting. Not only do different degrees of roast, dark to light, change the flavor but the temperature profile of the roast will as well. Think of a time versus temperature chart, as the roast progresses the temperature should normally be changed because the chemistry of the roasting bean is changing. Oooh I just had an idea for an experiment. Fertilize groups of plants differently to see how that affects the flavor of the resultant coffee. Flavor is all about the terroir. Yes. I have actually read that with proper nutrient balancing, you can mimic the flavor of mountain-grown high-end beans. Hey there. I just bought my bananas from you today. I am interested in these topics. 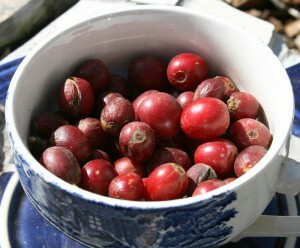 I found Yaupon Holly all in my yard and made my first batch of tea from it. I got pretty good caffien buzz off of 8-10 leaves! Brewed it like coffee. I would love it if you could jump in on our FB group anytime you want! https://www.facebook.com/groups/FloridaFoodForests/ Take care!! Thanks for picking up the bananas. Yes – yaupon is great. Unfortunately, I'm not on Facebook or I'd definitely join up. That's up my alley as well. P.S. 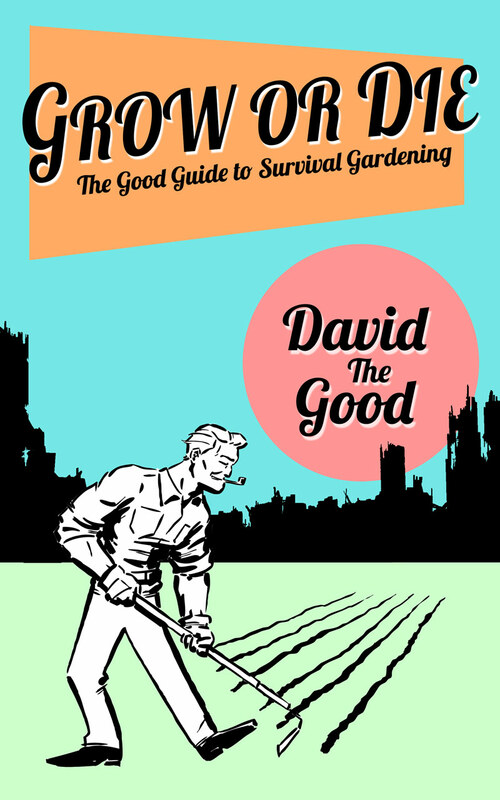 ever considered the papaya as a survival plant for your profiles? Too easy to grow and thousands of seeds…even here in NE Fla. Just saying.. I just eat the cherry and plant the seeds – always seems to work well. They germinate faster on a heat mat, too. I get about 75% germination. Don’t let them sit and dry out on the counter, either – just pop them in. They lose viability in a few months. Papaya would be a good one to add. We’ve gotten almost 100 lbs off one tree before. I’m not the guy you met at Kanapaha, but I do live in the area, I’ve been growing coffee and tea here for a number of years. . . I try not to bring anything in the house, unless absolutely necessary . . . Extended periods of cold or super hard freezes. I cover up around freezing and a bit below. Occasionally, I’ll get some scorching from the cold. Of course, living next to a lake helps the microclimate. Your observations about seed are fairly accurate, plant seeds from fresh ripe berries, after separating the twin seeds from the cherry. I’ve never rooted a plant, but apparently that’s not an uncommon technique. The temperatures here in the summer are probably not ideal, and you definitely don’t want sun on your plants all day here. They are, however, fairly forgiving plants so long as you don’t let them freeze, drown, or desiccate. . . Yes, the summer is the other half of the story. It’s too hot!